Yesterday’s budget introduced tax-free childcare. That’s great news for many self-employed parents and a welcome shift from the voucher scheme, which was only available to employees. But at the same time changes to the Universal Credit childcare element mean that many startups, lower-earning and part-time businesses are set to lose the help of Childcare Tax Credits. 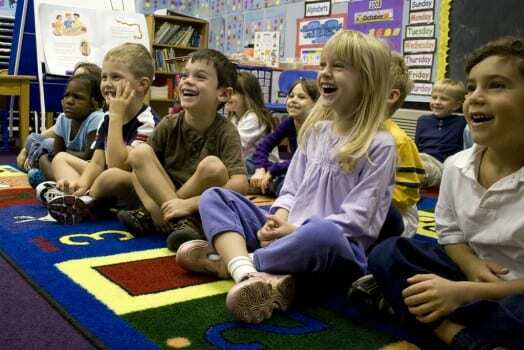 The new tax-free childcare scheme will be introduced in 2015. It will be worth up to £1,200 per child. To start with all children under five will be eligible, and over time it will extend to include children under 12. Controversially, both parents need to be in work to access the scheme and it’s open to people earning up to £150,000 a year. Moneysavingexpert.com have created a table showing how most self-employed families will be net beneficiaries of the new scheme. For self-employed parents claiming Universal Credit, which is due to replace Tax Credits later this year, childcare support rules are becoming more restrictive. As analysis from the Joseph Rowntree Foundation makes clear, the poorest group of self-employed parents will lose out. Government says: “For parents who currently receive childcare support through tax credits and in due course Universal Credit, the Government will increase childcare support to improve work incentives and ensure that it is worthwhile to work up to full-time hours for low and middle income parents. An additional £200m of support will be provided within Universal Credit, which is equivalent to covering 85% of childcare costs for households qualifying for the Universal Credit childcare element where the lone parent or both earners in a couple pay income tax.” Large numbers of businesses don’t earn enough to pay income tax during the start-up period. Most self-employed women work part-time. Both groups look set to lose out in those childcare changes. Similarly while the increase of the income tax threshold to £10,000 from 2014, announced in the Budget, will free many start-ups and micro-businesses from the need to pay income tax and associated paper-work, those businesses will no longer be able to benefit from the Universal Credit childcare element, nor will they qualify for the tax-free childcare scheme. With the extension of generous capital gains tax breaks for investors in new businesses, the chancellor is favouring what appears to be a male model of business finance. According to Angels Den, Europe’s largest network of small business investors, 93% of small business investors are male. Women-owned businesses are similarly much less likely to benefit from equity investment. A further £75 million was pledged to expand Business Angel Co-investment funds and extend the Enterprise Capital Funds. £102 million was pledged for StartUp loans for young people, with the target age group expanded to 18-30. With 84% of new businesses started by people aged 50 and above, since 2008 , it seems paradoxical and unfair for the Government to limit its soft loan scheme to the young. Business groups remain sceptical about £300 million further investment in bank lending to small businesses announced in the budget. With growth forecasts downgraded again, government efforts to boost business growth remain hampered. But employers’ national insurance changes introduced in the Budget will help businesses in a position to make the most of growth opportunities. From 2014 all SMEs will be exempt from paying the first £2,000 of employers’ National Insurance. The smallest businesses will benefit most, with 450,000 not having to pay any employers’ NI at all. For the first time ever, more women in the UK have become self-employed than men, since 2008. At the same time, and unprecedented in recent recessions, business support budgets have been cut. So the announcement of a £30 million budget for growth vouchers for small business is welcome. This will provide external business advice to help small businesses make the most of growth opportunities such as applying for a loan or taking on an employee. Details are limited so far, but it is hoped that this scheme acknowledges the needs of the new generation of female start-ups this recession has produced. Design for women: can the car industry get past pink?